We will focus on the development of present and future executives, entrepreneurs and leaders through business development projects, training and educational programs. Our goal is to provide the necessary resources to Albanian entrepreneurs so that they can turn their ideas to ventures, maximize their impact and build strong businesses. Successful entrepreneurs are critical to the expansion of an economy because their initiatives lead to innovation, community development and economic growth. The potential TID in Vlora is located is known as the Justin Godart Building Ensemble. The area is full with historical milestones, not just for the city, but the country as a whole. This intervention aims to bring to light one of the most important historical areas within the city that holds testimony to the city’s past. 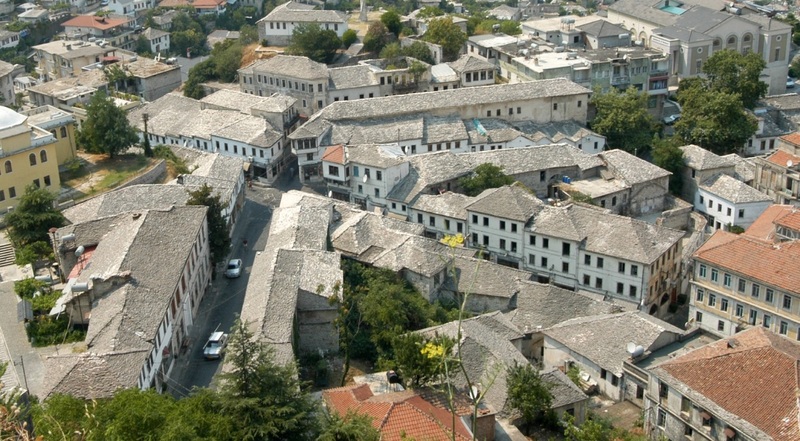 The main objective of the project is the “Restoration and urban requalification of the built urban ensemble Justin Godart”, Vlora, in order to increase tourism and in consequence the economic development of the area through restoration, conservation and the rehabilitation of the traditional houses and cultural heritage areas. BID Legislation – The purpose of the BID Legislation project is to put the BID projects into a statutory and sustainable footing in Albania. The AADF is working closely the Albanian Government, local Municipalities, international partners, and BID Associations in Korca, Shkodra, Berat, Kruja, Tirana in order to improve the legal framework for such initiatives. This project was approved in March 2015 and is expected to be completed in 2016. Tourism Improvement Districts (TIDs) strive to increase the number of overnight visitors in a particular area and are the driving force for destination marketing and promotion. TIDs are managed through a non-profit steering association which works with businesses and the local government. These associations are powerful funding tools which help hotels, craft shops, local artisans, and other businesses increase revenues in areas that are turned into local destinations. 03.15.2018 14 March 2017 – 14 March 2018, so many steps in so little time! TID Gjirokaster – The potential TID in Gjirokaster is located in the Old Bazaar at the heart of the historical part of the city. This project includes the preparation phase of the full restoration design from the Old Bazaar as well as Cerciz Topulli square. 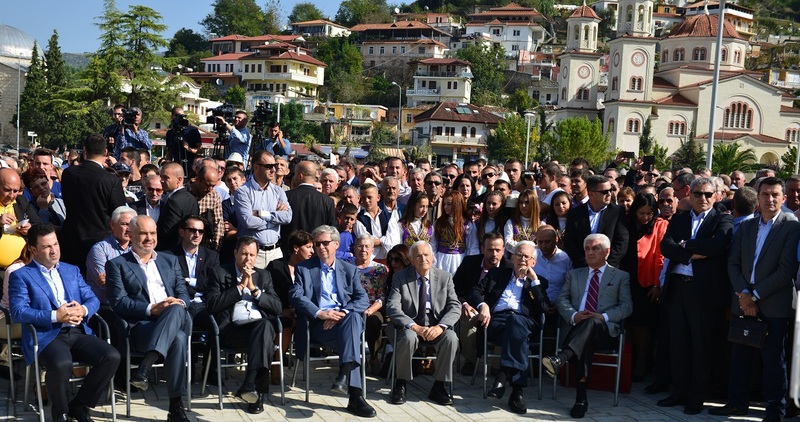 The revitalization and commercialization of the historic city center of Gjirokaster will directly impact the development of the communities and businesses in the area. Their quality of life will be directly improved. The New Bazaar/Avni Rustemi Square area of Tirana is a symbol of traditional urban life of the city, and a destination of commercial value. The area houses more than 15 sites of cultural heritage protected by law, which used to be hidden under rundown facades, obsolete infrastructure, and a generally unappealing commercial space. The New Bazar is nowadays a perfect destination for a natural pedestrian mall and tourism destination, where private businesses and public representation are being formed under the TID/BID model. 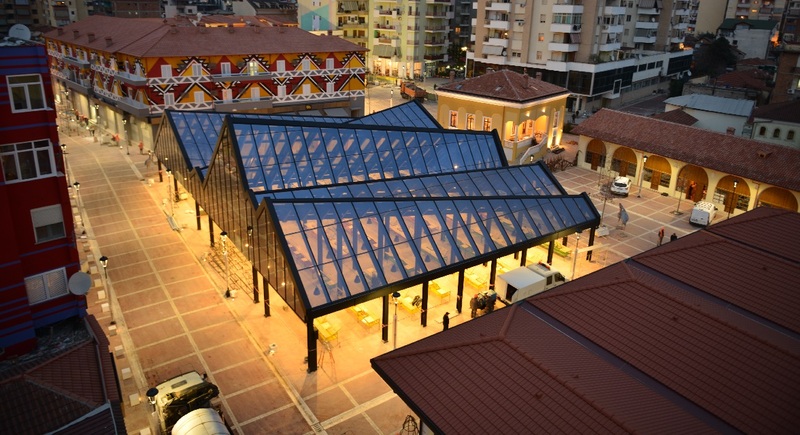 The AADF partnered with the Government of Albania (Ministry of Culture and Ministry of Urban Development), Municipality of Tirana and the local business community to revitalize the New Bazaar/Avni Rustemi Square of Tirana. The bazaar has become one of the main tourist attractions of the capital. The restauration portion was completed by March 2017. The Foundation is also supporting businesses operating in the area with advisory services as well as small grants in order to improve their efficiency and make the best use of the new opportunities. 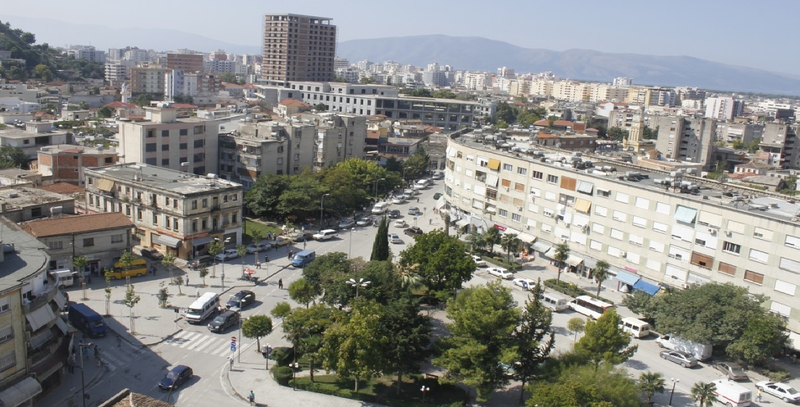 TID Tirana, the businesses association which oversees the daily management of the area, is founded in March 2017 in partnership with the Municipality of Tirana and local businesses. 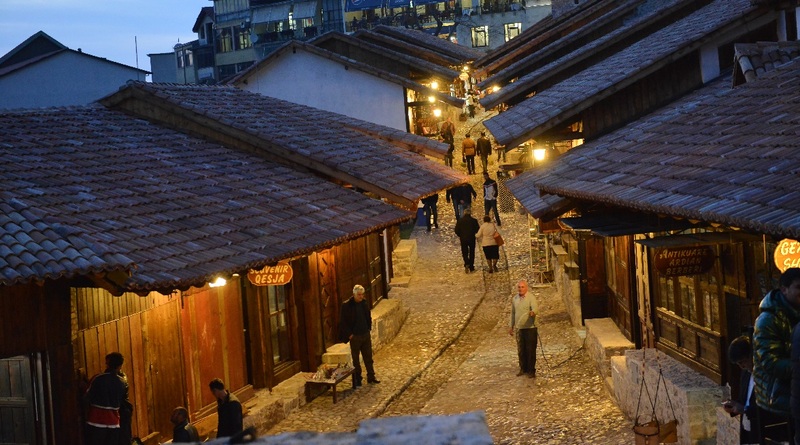 The Old Bazaar of Korça is an ensemble of trade, craft, and residential buildings with urban-architectural and artistic values that dates back to the 19th century. The collection of buildings is a testimony to the existence of craftsmen and tradesmen who at that time had a deep influence on the economic and social life of the country. 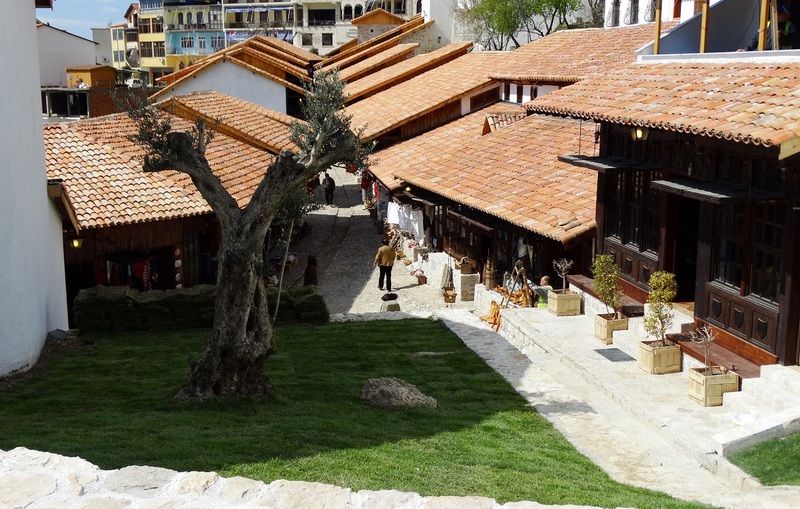 The AADF has partnered with the Government of Albania, Municipality of Korça and the local business community to revitalize the Old Bazaar of Korça. The bazaar has become one of the main tourist attractions of the city, a must-see experience. AADF restauration portion was completed by October 2015. 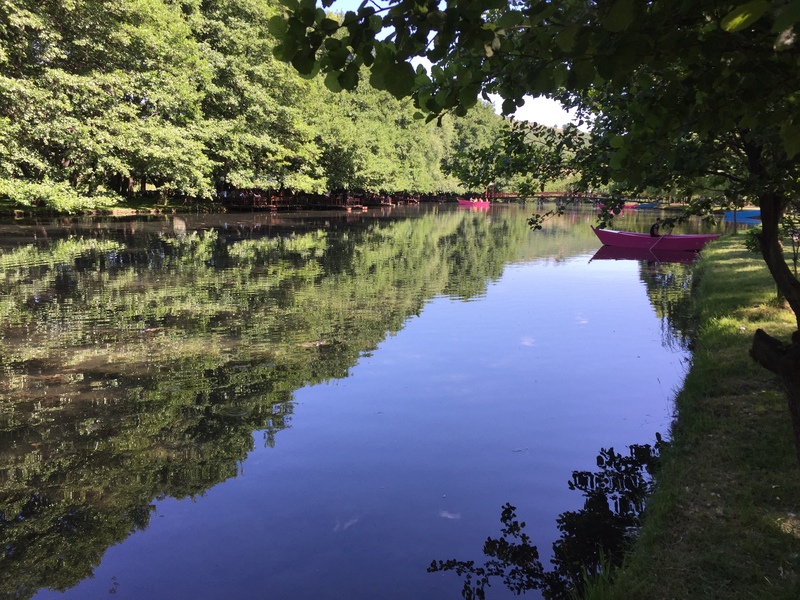 The Foundation is also supporting businesses operating in the area with advisory services as well as small grants in order to improve their efficiency and make the best use of the new opportunities which are being created. 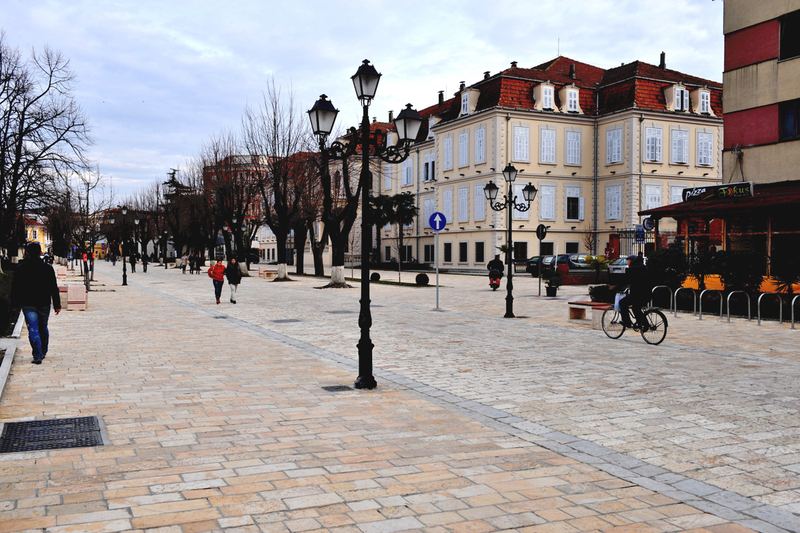 A businesses association named TID Korça, was founded in coordination with the Municipality of Korca and businesses in the area on March 2017. The association is leading and overseeing the daily management of the area. 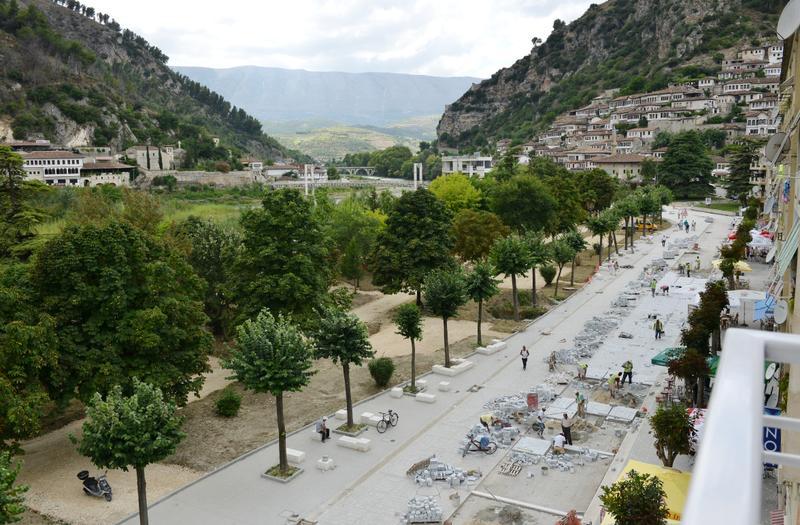 The AADF chose the city of Kruja, the most visited city in Albania for the establishment of the first TID in order to help promote tourism and to ensure preservation of cultural heritage resources. The project will focus on the the restoration of the buildings in the Old Bazaar including roofs, facades, lighting and signage, underground works and improvement of cobblestones. The AADF will provide advisory services and grants to businesses operating in the area as well as institutional support. A TID association has already been created by the AADF, Ministry of Culture, Municipality of Kruja and business owners from the Bazaar. Its objectives will be to promote as well as manage the TID area. Promotional activities will also be carried out for locally produced foods and other goods in and around the city. 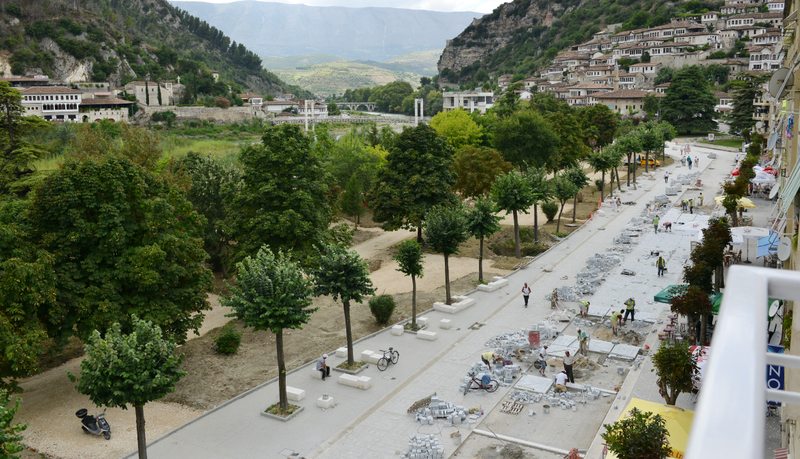 The AADF began implementing Berat BID in partnership with the Municipality of Berat along Republika Boulevard and Teodor Muzaka Square in October of 2013. The new BID zone will include a Visitor Center which will provide information for tourists on a variety of sites like the Berat Castle, Mangalem, Gorica, Osum Canyons and Tomori Mountain. The four components of the project are infrastructure enhancement, entrepreneurship and business development, creation of the business association and cultural and eco-tourism improvement. Infrastructure work was completed in October 2014. 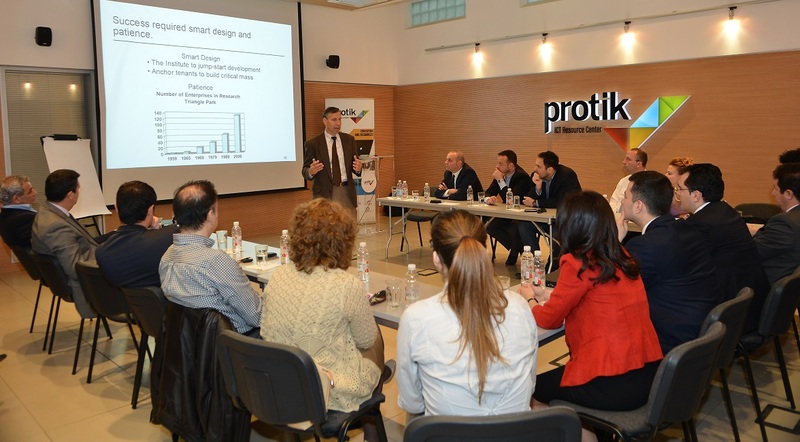 Protik is an independent, not-for-profit Information Communication Technology (ICT) center whose primary objectives are to increase the demand and use of ICT and assist in market growth, strengthen human and institutional capacity, increase cooperation between the private sector, educational institutions, and the government, provide ICT entrepreneurs with access to modern technology and know-how, and serve as an information and networking hub. The center was established by the AADF in partnership with USAID, the Government of Albania, Microsoft, Albanian ICT Association, Cisco Systems and ALBtelecom. 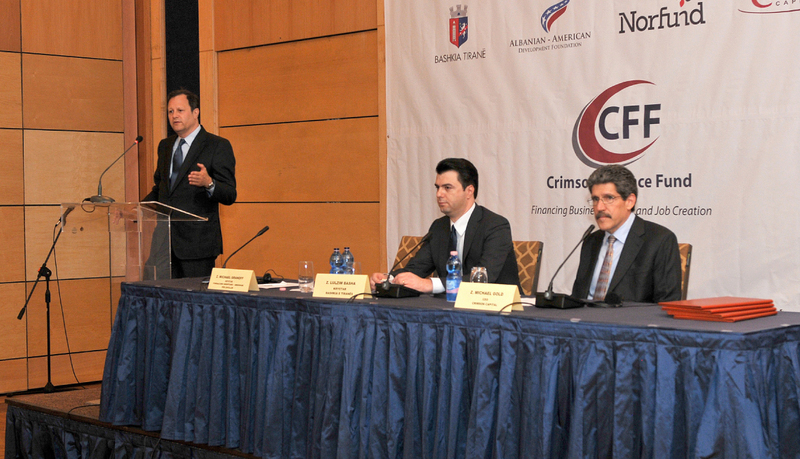 The AADF in partnership with Norfund, Crimson Capital Corp and the Municipality of Tirana, established Crimson Finance Fund Albania, a non-banking financial institution which will provide developmental financing for micro, small and medium-sized businesses. CFF Albania is designed to improve access to finance for under-served small and medium enterprises (SMEs), entrepreneurs, innovators, women-owned businesses and farmers in Albania in order to catalyze business growth and job creation.